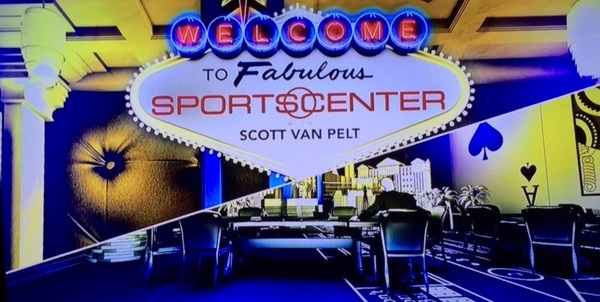 The new SportsCenter starring Scott Van Pelt has a Las Vegas theme as part of the opening sequence. Van Pelt is a known fan of Las Vegas and frequently discusses betting on his show - rare for the family friendly ESPN. 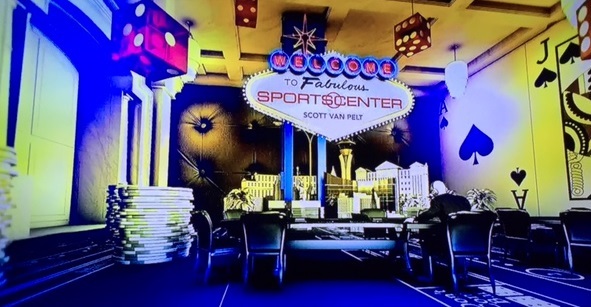 He was featured on one of those Travel Channel shows about Las Vegas a long time ago.